High-oleic groundnut varieties – with oleic acid content of up to 80% in Spanish and Virginia bunch types – show exciting potential for the processed food industry due to their longer shelf life and consumer health benefits. Groundnut researchers discussed this and other technological advances in groundnut breeding at a recent meet. 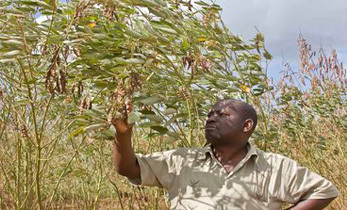 Normal groundnut cultivars have 35-45% oleic acid content. Oleic acid has 10-fold higher oxidative stability compared to linoleic acid; therefore, higher-oleic groundnut is preferred by processors for creating processed groundnut products that will stay fresh for longer periods. 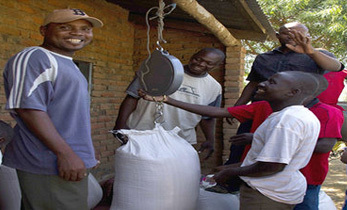 Representatives from the private sector noted the usefulness of good management practices to limit Aspergillus infection in groundnuts, the value of cost-effective aflatoxin detection kits to monitor contamination along the value chain, and experiments on developing seed agronomy to overcome serious limitations of seed multiplication ratio. 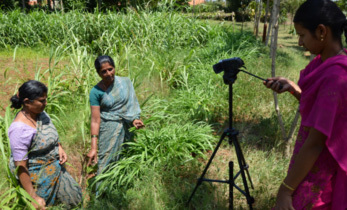 Groundnut researchers demonstrated standard operating practices for collecting leaf samples for the high-throughput genotyping platform (HTGP) using a paper punch. This year, a total of 18,000 leaf samples from early generation populations were sent to Intertek for genotyping on a 10-SNP (Single Nucleotide Polymorphism) panel, which has SNPs for three traits: high oleic acid, resistance to rust and resistance to late leaf spot. 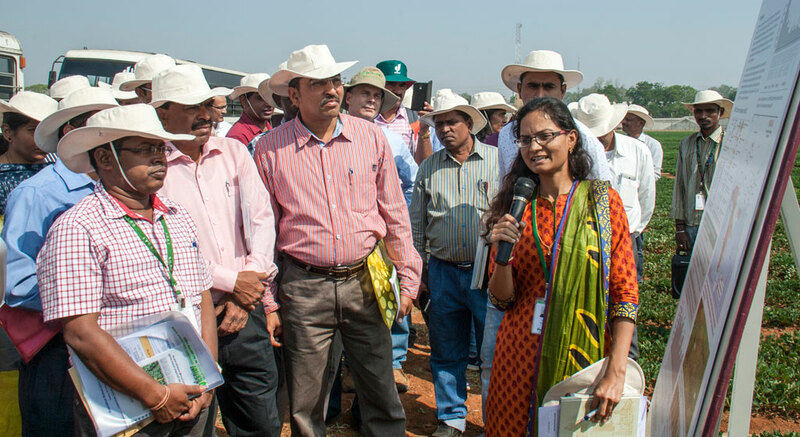 At the Groundnut Researcher’s Field Day organized at ICRISAT, processors, exporters, policy makers and researchers discussed the four high-oleic groundnut lines – ICGVs 15073, 15103, 15074 and 15083 – which have also demonstrated higher pod yield across three test locations. New transgenic events derived using HIGS (Host-Induced Gene Silencing) technology. 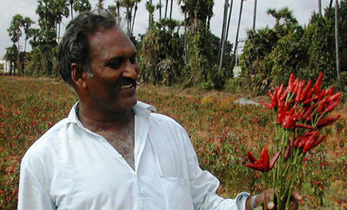 Groundnut breeders presented various breeding methods, viz. 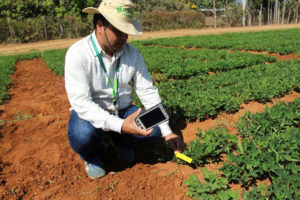 Single Seed Descent (SSD), Marker-Assisted Selection (MAS) and Marker-Assisted Backcrossing (MABC) methods, as well as Breeding Management System for data management, and devices and barcode labels for data collection. Early generation testing in target sites. During the field trip, participants were shown the Multiparental Advanced Generation Inter Cross (MAGIC) and Nested Association Mapping (NAM) populations on display at the experimental plots. Among the participants were Dr SN Nigam, former groundnut breeder from ICRISAT and Dr AL Rathnakumar, the All India Coordinated Research Project – Groundnut National Coordinator from ICAR-DGR (Indian Council of Agricultural Research-Directorate of Groundnut Research). 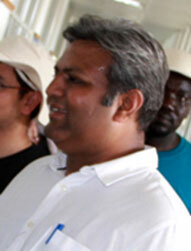 The Groundnut Researcher’s Field Day was organized at ICRISAT Headquarters on 28 February. 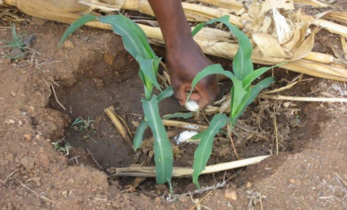 Over 90 participants from India, Uganda, Mali, Burkina Faso, Ghana, Tanzania and USA; private sector partners involving processors, exporters, and seed producing companies; policy makers; and ICRISAT scientists from India, Malawi, Mali and Nigeria participated in the Field Day. 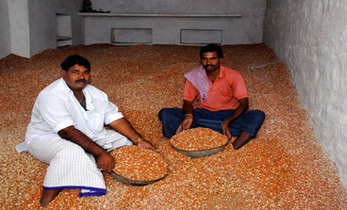 To know more about ICRISAT’s work on groundnut, click here.